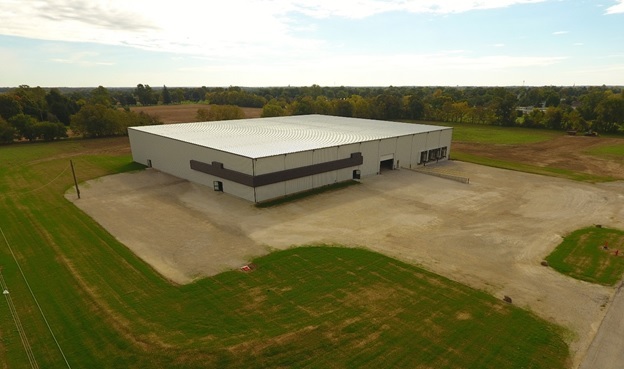 Tiffin, Ohio (December 17, 2018) – Industrial Property Brokers Principal Tim Echemann, SIOR, CCIM, announced today that construction on the new 50,000-square-foot warehouse and manufacturing facility in Tiffin is shell complete and after tenant improvements, available for occupancy in the first quarter of 2019. The property, started in June by a group of investors and constructed by general contractor by Clouse Construction Corporation, is offered for sale for $1.75 million or lease at $3.95 per-square-foot, triple net (meaning the tenant or lessee pays for real estate taxes, building insurance and maintenance). Located at the corner of Shawhan Avenue and Tyber Road in the Eagle Rock Business Park, the new high-quality, pre-engineered steel Butler building is 200 feet by 250 feet with 32 feet of clear height in the interior, and only 4 interior columns, or 50 feet of spacing per bay. There is one drive-in door and four docks. Approximately 48,500 square feet is designated warehouse or manufacturing space while 1,500 square feet is office space. It has a metal standing-seem roof. Flooring, lighting, office interiors and finishing the parking lot is all that is required for occupancy and could be accomplished in under 90 days. Situated on 11.3 acres, there is ample room to expand up to 200,000 square feet and still maintain a large corporate yard. The Seneca County industrial market is one of the tightest in Western Ohio, with only a 0.05% vacancy rate among the more than 10 million square feet in 188 warehouse/flex buildings tracked by property research company CoStar. The county is part of the greater Toledo industrial market and is also near Findlay, OH. 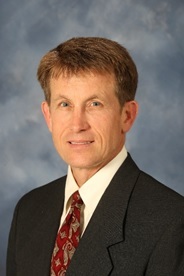 David Zak, President & CEO of Seneca Industrial and Economic Development Corp. said when construction commenced that the Tiffin building would be the first speculative building in Seneca County to be built since 2007 and that having a standing industrial shell will help his organization attract new businesses to the county. “The Tiffin area provides access to a workforce of more than 250,000 within a half-hour drive and through the OhioMeansJobs office, the occupier of this building will receive the support of a top-notch vocational system and financial incentives associated with new jobs to the region,” Zak said. Tim Echemann reports that he has already hosted numerous tours of the property by qualified tenants with excellent credit. “It remains true that we always get more looks once the shell is constructed and there is something to see and walk through – like kicking the tires when shopping for a new car. The buyer or tenant of this property still has the ability to customize exact floor loads, provide the best lighting and fire suppression for its intended use and design the parking lot to maximize efficiency,” Echemann said.